Several patterns of distinctive morphological changes began to arise in amniotes in the Carboniferous Period. These changes were most clearly expressed in the skulls of early reptiles and their kin. By the end of the Permian Period, about 251 million years ago, the die was cast for the future of amniotes that have dominated terrestrial, and sometimes marine, ecosystems ever since. skull, and such fenestrae provide grips for muscles as well as space for them to expand and contract as the jaw moves. Land animals needed more jaw power than fishes to adapt to terrestrial food consumption. Having holes in the temple region of the skull provided space and attachment areas for larger, more complex groups of jaw muscles. Another benefit of the temporal fenestrae is the reduction of the weight of the skull and, presumably, the conservation of the calcium used to build and maintain strong bones. As vertebrates grew larger over time, skull bones as well as other skeletal elements such as vertebrae would evolve additional innovative shapes, cavities, and fenestrae to provide strength while also lightening the load on the body. The evolution of the temporal fenestrae was an important step in vertebrate experiments to modify skeletal morphology to increase the efficiency of the organism. The absence or presence of the temporal fenestrae attests to the reptilian origins of all amniotes. The earliest amniotes had no temporal fenestrae, a condition considered basal and close to their amphibian ancestry. For the purposes of classification, amniotes can be placed into one of the following four groups based on skull design. All four of these conditions had taken shape in various lines of amniotes by the end of the Paleozoic Era. Anapsida: These are amniotes with no temporal fenestrae, including the earliest reptiles. This clade includes Hylonomus and Pa-leothyris and several other extinct Late Carboniferous reptiles as well as the living tortoises and turtles, which were only recently added based on molecular evidence connecting them to the anapsids. 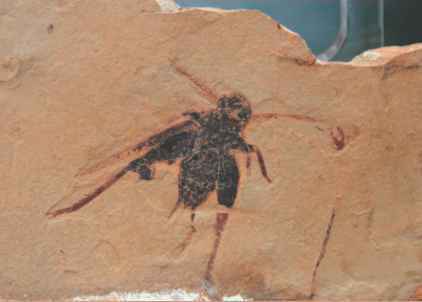 The first anapsids appeared in the Middle Carboniferous Period. Synapsida: These are amniotes with one temporal fenestra positioned somewhat behind and below the orbit of each eye. This clade includes all mammals as well as extinct mammal-like reptiles. Syn-apsids first appeared in the Late Carboniferous Period. Diapsida: These are amniotes with two temporal fenestrae, a lower one like the one seen in synapsids and one just above it and behind the orbit. Lizards, snakes, crocodiles, and birds are included in this group, as well as extinct dinosaurs and pterosaurs (flying reptiles). Diapsids first appeared in the Late Carboniferous Period. Euryapsida: These are amniotes with one temporal fenestra positioned just above and behind the orbit. Extinct marine reptiles belonging to this group include nothosaurs, plesiosaurs, and ich-thyosaurs, most of which thrived in the Mesozoic Era. Euryapsids probably evolved from diapsids with the loss of the lower fenestrae. Euryapsids first appeared in the Early Permian Period.